Take a walk around your car and inspect it for dents and scratches. Also, check the interior of your car for any obvious faults. Pretend that this is the first time you are seeing your car and you are inspecting it as if you want to buy it from somebody else. Does it need to be repainted, does it need panel beating, and does it need maintenance work? How much thread is left on the tires? All of these aspects will make a difference in the amount of Rand’s you will be able to get in your car when you sell or trade it in. You will need to know the year, make, model and mileage of your car. You will also need a general condition analysis, like the one that you did in step 1, to get an idea of what you can expect for your car. Seeing what other private buyers expect to pay for a vehicle can help you make a ballpark estimation on what a dealership will offer you. Write the range of prices down for cars with the same year, make, model, mileage and conditional level as well as the average prices. Call at least three car dealerships and ask them for an estimated phone appraisal. Car dealers will try to get you to bring the car in but insist on an estimation over the phone. Ask to speak to the used car manager and tell them you have inspected your car inside and out so that they know you have an idea of what you are talking about. Write down the amount that is given to you by the three car dealerships. After completing these three steps, you will have a good idea of what your car is worth in its current condition. 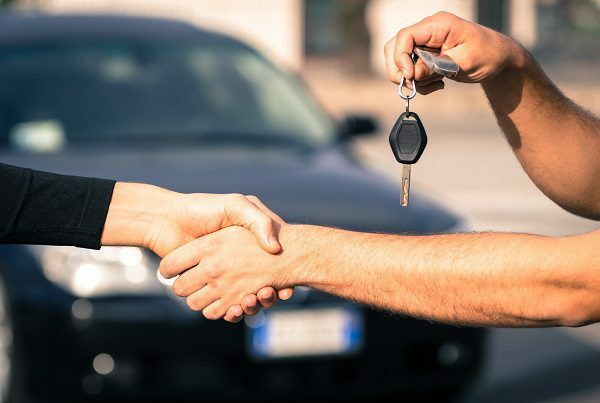 If you are not satisfied with the amount offered, carefully weigh the costs of making improvements to your car so that you can possibly fetch a higher asking price. Are you in the market for a new or used car? Then consider rent-to-own vehicle financing from Earn-a-Car. Contact us for more information today.